The WagonR is a massive seller for Maruti Suzuki but not so the StingRay, a stylised version of the WagonR aimed at younger buyers. The StingRay is not moving out of showroom shelves as quickly as Maruti Suzuki had intended and this has led to the car maker offering hefty discounts to get the car moving off stockyards. For instance, the leading Indian automaker is doling out a 61,000 rupee discount (36,000 rupee cash discount + 25,000 rupee exchange bonus) on the StingRay, making it one of the most discounted cars in Maruti Suzuki’s budget car portfolio. The car maker has another ace up its sleeve, to boost sales of the StingRay. 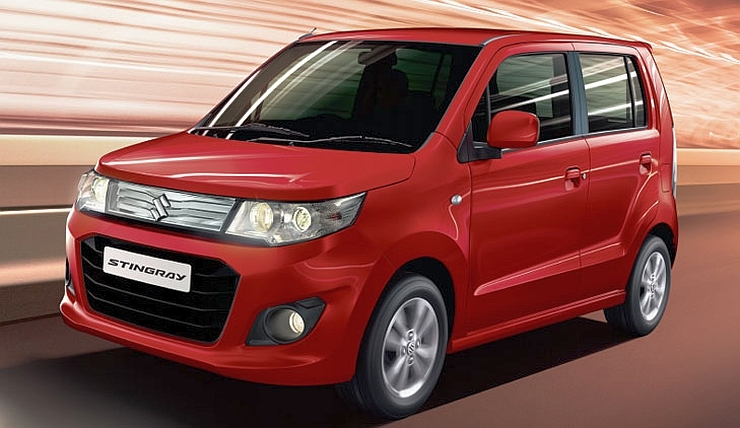 The WagonR StingRay will be the next Maruti Suzuki hatchback to receive an automated manual transmission option, in a bid to boost sales. The AMT equipped StingRay is expected to be launched in early 2015. Other variants of the WagonR will continue to feature the 5 speed manual transmission. The StingRay uses the same 1 liter-3 cylinder K-Series petrol engine as other Maruti Suzuki cars equipped with the AMT option, such as the Celerio and the Alto K10. The StingRay AMT is likely to command a 40,000 rupee premium over an equivalent, manual transmission equipped variant. Currently, Maruti Suzuki is grappling with a supply crunch for the automated manual transmission, which is being supplied by Italian auto parts maker, Magneti Marelli. The vendor plans to set shop in India next year and this should help boost AMT production. Currently, both the Celerio and Alto K10 AMTs command considerable wait times, and this is something that budget car buyers will cease to tolerate once more car makers come up with budget offering equipped with the AMT option. Mahindra, Tata Motors, Nissan, Renault and Fiat are some of the automakers in India contemplating a widespread adoption of the automated manual transmission technology.